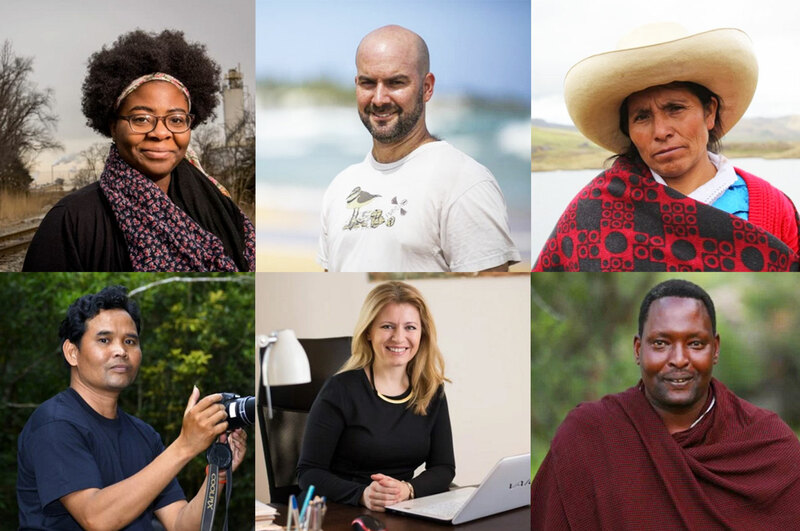 Often referred to as the Nobel Prize for the environment, The Goldman Environmental Prize is awarded each year to six grassroots leaders fighting to protect the planet in their own communities. Inhabitat talked with David Gordon, the executive director of the Goldman Environmental Foundation about why the jury focuses on grassroots leaders and the stories behind this year's six winners. He said, “Richard and Rhoda Goldman wanted to not just recognize amazing work that was being done, but also to inspire others to get involved. In thinking about the kinds of people that are most likely to inspire others to action, they really wanted to focus on grassroots leadership – people who were coming from the communities, people that we can all identify with because we also live in those same communities – recognizing that anyone can take this kind of action and help better the environment.” Meet this year's six winners from all around the world. 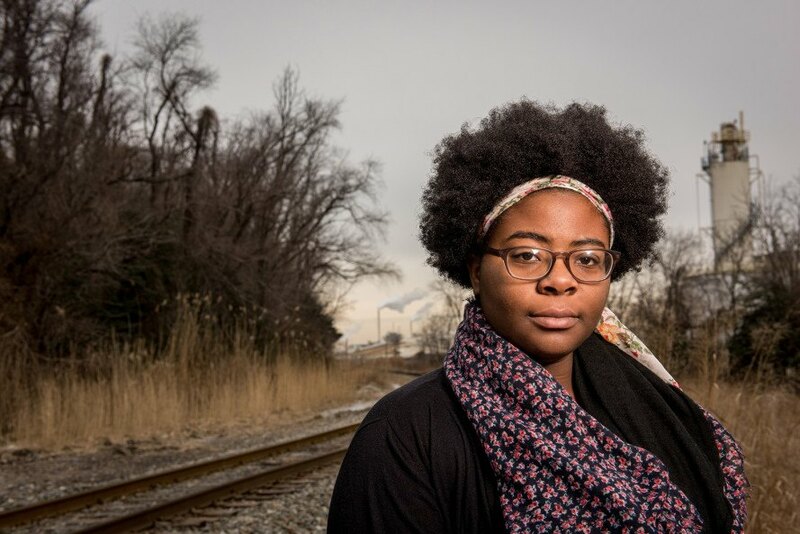 Destiny Watford, who is now 20, began fighting construction of an incinerator that was planned for her high school in the Curtis Bay neighborhood of Baltimore. The incinerator would be located “less than a mile away” from the school, and every year would emit 240 pounds of mercury. Her community already grapples with pollution; 2013 data showed that more people died in Baltimore from toxic emissions than anywhere else in the country. A total of 22 local organizations agreed to purchase energy generated from the planned incinerator, so, through music and art, Watford led her classmates to take a stand, persuading 18 of the 22 organizations to end their contracts with Energy Answers. After fighting for years, Watford won a major victory just this March when the Maryland Department of the Environment pulled the permit for the incinerator. Now she’s exploring possibilities for community solar to generate clean energy instead. Over 70 percent of people in Cambodia rely on the land to make a living, but a 2001 law decreed the government can take away land for agricultural and industrial development. Leng Ouch, 39, noticed that most of the seized land was being used for illegal logging. Although Cambodia is incredibly dangerous for activists – just last month Global Witness reported that one was harmed in a machete attack – Ouch decided to fight the criminal activity he saw. He went undercover, and for several years acted as an employee for Try Pheap, a logger connected to the Cambodian prime minister. Ouch secretly gathered evidence until he had enough to implicate the Cambodian government. When they ignored his reports, he organized people to protest peacefully. The government finally canceled contracts with Try Pheap, including 50,000 acres that is home to various endangered species. 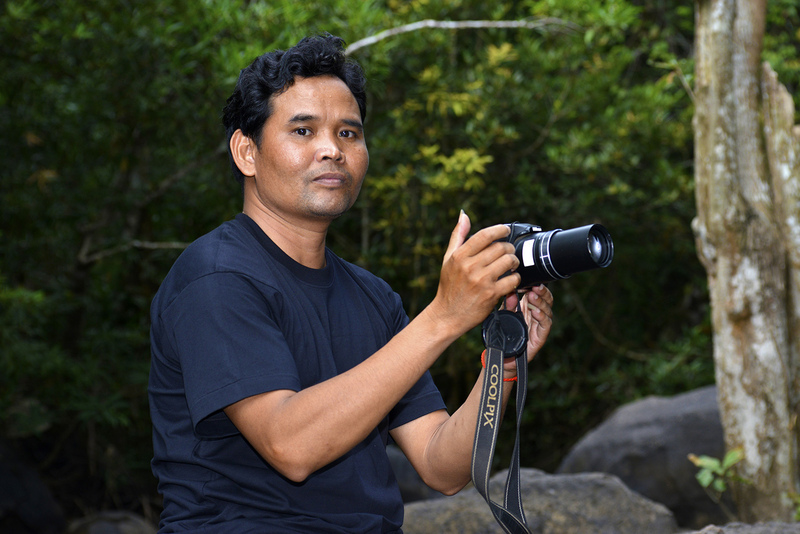 The fight isn’t over for Ouch; through his organization, Cambodia Human Rights Task Forces, he continues to bring attention to illegal practices ongoing in Cambodia, advocating for sustainability and justice. Puerto Rico‘s Northeast Ecological Corridor is home to 50 rare species and ecosystems such as mangroves and seagrass beds. Luis Jorge Rivera Herrera, 43, grew up near there and was inspired by the natural beauty to become an environmental scientist. Yet in 1999, resort projects to which Marriott and Four Seasons were attached threatened to destroy the local environment. They planned to build three golf courses and around 3,000 tourist and residential units. In addition to destroying the area, the resorts wanted to restrict access to the beaches that local residents had enjoyed for years. To combat the project, Herrera gathered data on the ecological importance of the area and started educating the community about what they stood to lose. His goal was to designate the area as a Natural Reserve, and encourage ecotourism instead. So he campaigned for a bill protecting the corridor for nearly 10 years. In 2012, the bill was signed by Puerto Rican governor Alejandro García Padilla. Herrera is now raising money to purchase the private land left in the Northeast Ecological Corridor, a condition of the bill. Pezinok, Slovakia already had one illegally-built landfill. It held waste in the millions of tons, including hazardous waste. Many have linked the landfill to health issues, including rates of cancer several times greater in Pezinok than other areas in the country. So when another landfill was planned for a location less than a mile away from residential homes, citizens turned to Zuzana Caputova, 42, who lives in the town with her family, to fight it. According to Pezinok’s 2002 city plan, the new landfill was illegal, so Caputova put to work her career skills as a lawyer for Via Iuris to fight the environmental issue. She helped organize the citizens for years to protest the landfill, and worked to shut down the old one. Via Iuris described the efforts as “one of the most important cases of civic engagement in Slovakia since the Velvet Revolution” as thousands of people were emboldened to speak up for their home. Since winning the case, Caputova has helped several other nearby towns fight similar cases of environmental injustice. Now she’s working to enact change at the federal level, focusing on the country’s 40-year-old Construction Law. Grandmother Máxima Acuña, 47, farms on 60 acres of land by Laguna Azul, a lake in Peru that provides water for her family and other local residents. 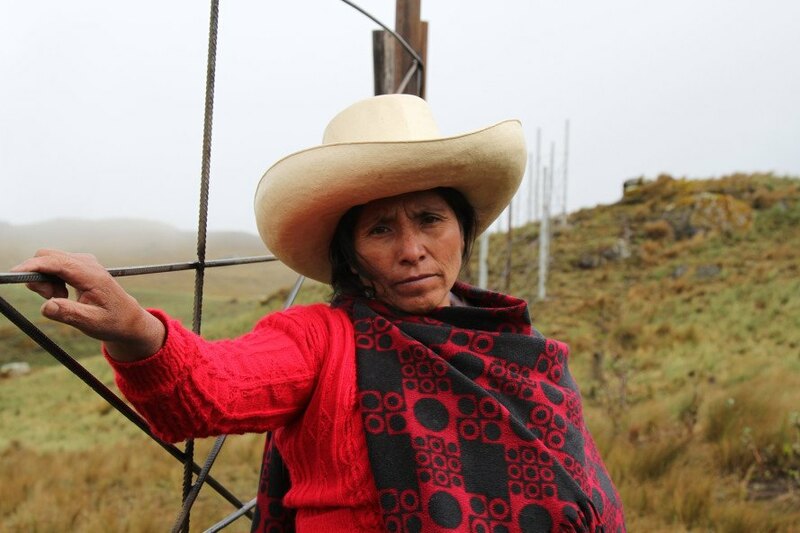 She and her husband purchased the land over 20 years ago, but in 2011, the Peruvian government gave her land away along with over 7,000 acres to Colorado gold mining company Newmont Mining Corporation. The land would be used for their planned Conga Mine, to be built by their Peru branch Yanacocha. The mine was also expected to pollute local water with toxins such as cyanide and arsenic. Acuña didn’t belong to any activist organizations. She lacked a formal education. But she refused to back down when Newmont tried to take her land. Representatives asked her family to sell; when she refused, they took the case to court, claiming her family was squatting on their land. A court declared in 2014 that Acuña’s family is not guilty, but Newmont appealed the decision. As recently as March they continue to maintain the family lives there illegally. Acuña’s family has reported so many cases of harassment that Amnesty International called for “urgent action.” A crop of potatoes was destroyed, the family dog was stabbed in the neck, and in 2015, reportedly 200 policemen came on to the property and destroyed an extension the family was building on their home to keep out rain. Acuña even reported that she and her daughter were beaten until they were unconscious. Despite threats to her life, she has still refused to sell her land. In Tanzania, hunter-gatherer peoples such as the Maasai and Hadzabe have had their lands wrested away from them by the government. Lacking a voice, they lost many of their resources. Maasai member Edward Loure, 44, didn’t just sit by and watch. He’s on the staff of Ujamaa Community Resource Team (UCRT), an organization that works to protect land rights for these indigenous people who are too often marginalized. Without their land, they cannot live their traditional pastoral lives. Loure fought for their rights and built trust with people not from his own community, who were initially wary after watching land forcibly taken by the government. UCRT has worked to empower people to manage their own land, which benefits local wildlife, since conservation is at the core of their way of life and the government does not have the natural incentives to utilize the land as sustainably. Loure began his work around 10 years ago, and since then has helped protect over 200,000 acres granted to local communities. UCRT has also worked for women’s rights, empowering hundreds of women to legally own their land. The Goldman Environmental Prize foundation hopes through winning the prize, the six leaders will be able to bring about even more change. Destiny Watford, United States Destiny Watford, who is now 20, began fighting construction of an incinerator that was planned for her high school in the Curtis Bay neighborhood of Baltimore. The incinerator would be located "less than a mile away" from the school, and every year would emit 240 pounds of mercury. Her community already grapples with pollution; 2013 data showed that more people died in Baltimore from toxic emissions than anywhere else in the country. A total of 22 local organizations agreed to purchase energy generated from the planned incinerator, so, through music and art, Watford led her classmates to take a stand, persuading 18 of the 22 organizations to end their contracts with Energy Answers. After fighting for years, Watford won a major victory just this March when the Maryland Department of the Environment pulled the permit for the incinerator. Now she's exploring possibilities for community solar to generate clean energy instead. Leng Ouch, Cambodia Over 70 percent of people in Cambodia rely on the land to make a living, but a 2001 law decreed the government can take away land for agricultural and industrial development. Leng Ouch, 39, noticed that most of the seized land was being used for illegal logging. Although Cambodia is incredibly dangerous for activists - just last month Global Witness reported that one was harmed in a machete attack - Ouch decided to fight the criminal activity he saw. He went undercover, and for several years acted as an employee for Try Pheap, a logger connected to the Cambodian prime minister. Ouch secretly gathered evidence until he had enough to implicate the Cambodian government. When they ignored his reports, he organized people to protest peacefully. The government finally canceled contracts with Try Pheap, including 50,000 acres that is home to various endangered species. The fight isn't over for Ouch; through his organization, Cambodia Human Rights Task Forces, he continues to bring attention to illegal practices ongoing in Cambodia, advocating for sustainability and justice. 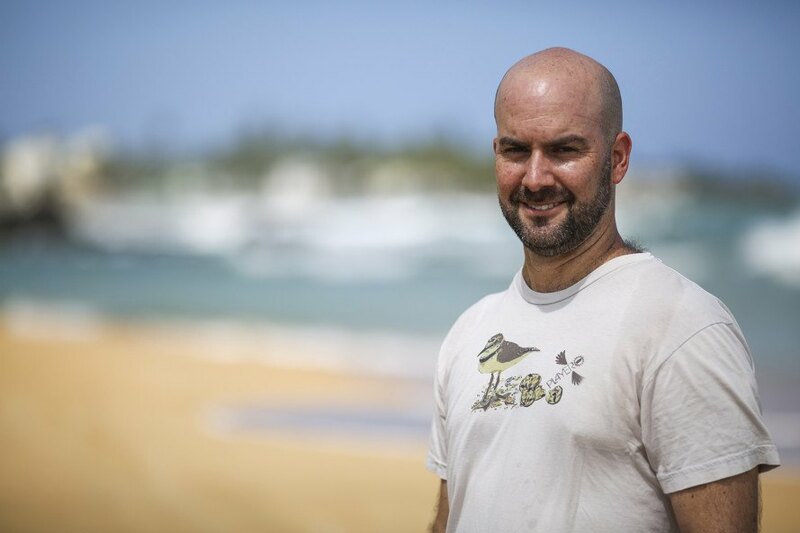 Luis Jorge Rivera Herrera, Puerto Rico Puerto Rico's Northeast Ecological Corridor is home to 50 rare species and ecosystems such as mangroves and seagrass beds. Luis Jorge Rivera Herrera, 43, grew up near there and was inspired by the natural beauty to become an environmental scientist. Yet in 1999, resort projects to which Marriott and Four Seasons were attached threatened to destroy the local environment. They planned to build three golf courses and around 3,000 tourist and residential units. In addition to destroying the area, the resorts wanted to restrict access to the beaches that local residents had enjoyed for years. To combat the project, Herrera gathered data on the ecological importance of the area and started educating the community about what they stood to lose. His goal was to designate the area as a Natural Reserve, and encourage ecotourism instead. So he campaigned for a bill protecting the corridor for nearly 10 years. In 2012, the bill was signed by Puerto Rican governor Alejandro García Padilla. Herrera is now raising money to purchase the private land left in the Northeast Ecological Corridor, a condition of the bill. Zuzana Caputova, Slovakia Pezinok, Slovakia already had one illegally-built landfill. It held waste in the millions of tons, including hazardous waste. Many have linked the landfill to health issues, including rates of cancer several times greater in Pezinok than other areas in the country. So when another landfill was planned for a location less than a mile away from residential homes, citizens turned to Zuzana Caputova, 42, who lives in the town with her family, to fight it. According to Pezinok's 2002 city plan, the new landfill was illegal, so Caputova put to work her career skills as a lawyer for Via Iuris to fight the environmental issue. She helped organize the citizens for years to protest the landfill, and worked to shut down the old one. Via Iuris described the efforts as "one of the most important cases of civic engagement in Slovakia since the Velvet Revolution" as thousands of people were emboldened to speak up for their home. Since winning the case, Caputova has helped several other nearby towns fight similar cases of environmental injustice. Now she's working to enact change at the federal level, focusing on the country's 40-year-old Construction Law. Grandmother Máxima Acuña, 47, farms on 60 acres of land by Laguna Azul, a lake in Peru that provides water for her family and other local residents. She and her husband purchased the land over 20 years ago, but in 2011, the Peruvian government gave her land away along with over 7,000 acres to Colorado gold mining company Newmont Mining Corporation. The land would be used for their planned Conga Mine, to be built by their Peru branch Yanacocha. The mine was also expected to pollute local water with toxins such as cyanide and arsenic. Acuña didn't belong to any activist organizations. She lacked a formal education. But she refused to back down when Newmont tried to take her land. Representatives asked her family to sell; when she refused, they took the case to court, claiming her family was squatting on their land. A court declared in 2014 that Acuña's family is not guilty, but Newmont appealed the decision. As recently as March they continue to maintain the family lives there illegally. Acuña's family has reported so many cases of harassment that Amnesty International called for "urgent action." A crop of potatoes was destroyed, the family dog was stabbed in the neck, and in 2015, reportedly 200 policemen came on to the property and destroyed an extension the family was building on their home to keep out rain. Acuña even reported that she and her daughter were beaten until they were unconscious. Despite threats to her life, she has still refused to sell her land. 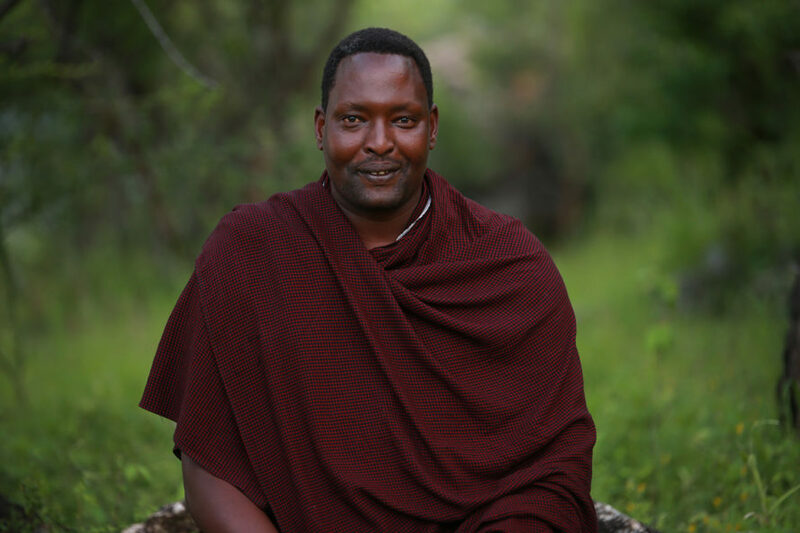 Edward Loure, Tanzania In Tanzania, hunter-gatherer peoples such as the Maasai and Hadzabe have had their lands wrested away from them by the government. Lacking a voice, they lost many of their resources. Maasai member Edward Loure, 44, didn't just sit by and watch. He's on the staff of Ujamaa Community Resource Team (UCRT), an organization that works to protect land rights for these indigenous people who are too often marginalized. Without their land, they cannot live their traditional pastoral lives. Loure fought for their rights and built trust with people not from his own community, who were initially wary after watching land forcibly taken by the government. UCRT has worked to empower people to manage their own land, which benefits local wildlife, since conservation is at the core of their way of life and the government does not have the natural incentives to utilize the land as sustainably. Loure began his work around 10 years ago, and since then has helped protect over 200,000 acres granted to local communities. UCRT has also worked for women's rights, empowering hundreds of women to legally own their land.